Caption this picture is as simple as it sounds. 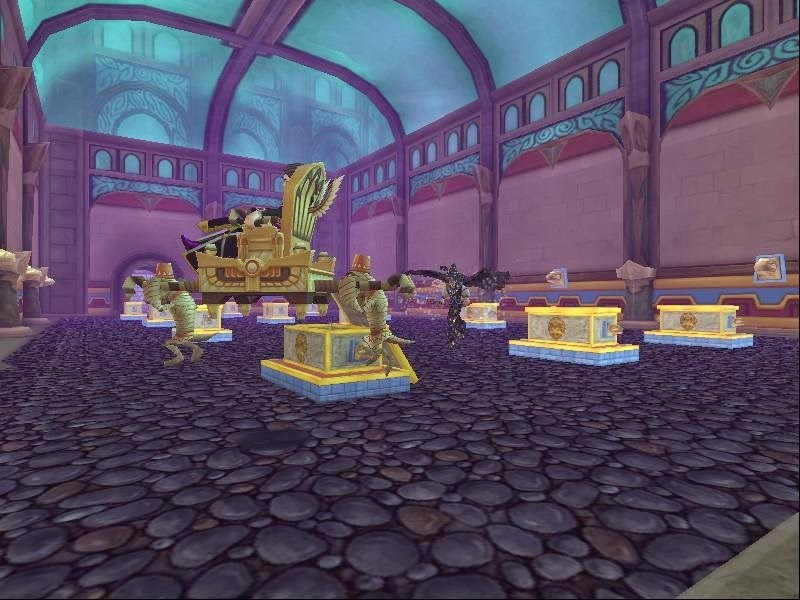 Make a caption for the image above and send it to Contest@paigemoonshade.com with the email with your Wizards name and email title Caption Wizard101. You see those flying manders too, right? Wait! wait! I said I belong ON a golden pedestal not IN one! That awkward moment when you start building a pyramid at the wrong house! Run manders! I don't want that Angel of death to hear me COFFIN ! Hey, watch where your going clumsy! Take what you can find my mander minions. NO! DON'T TAKE ANY THING LIVING!!!!!! Lots of fun! Thanks for having a great contest with awesome prizes! Katherine Firegem Wizard101.. Thank you for the contest!! I hope I entered it correctly, I sent the email to the address listed above I am a senior citizen that is disabled and not real computer savvy, Love the Wizard 101 game and play almost every day..
Is there an autoreply we should look for to make sure your got it? Okay, thanks. I had gotten a bit worried when I didn't receive one. Not sure if nine posted, what do I do if I forgot to put my wizard name in the email? Resend it, make sure i know your adding wizard name. Its a very simple caption of what you think is going on. I don't know if I had sent in a comment already, internet has been a little crazy, but I'm sendint it again, Hope that's OK Page. Can't wait to see what people went with.